The forerunner to the 25th London Cyclist Bn. was the 26th Middlesex (Cyclist) Volunteer Corps. It had tempoary headquarters at 28 Ashley Place, Victoria Street, S.W. (London). In 1890 HQ moved to Hare Court Temple. 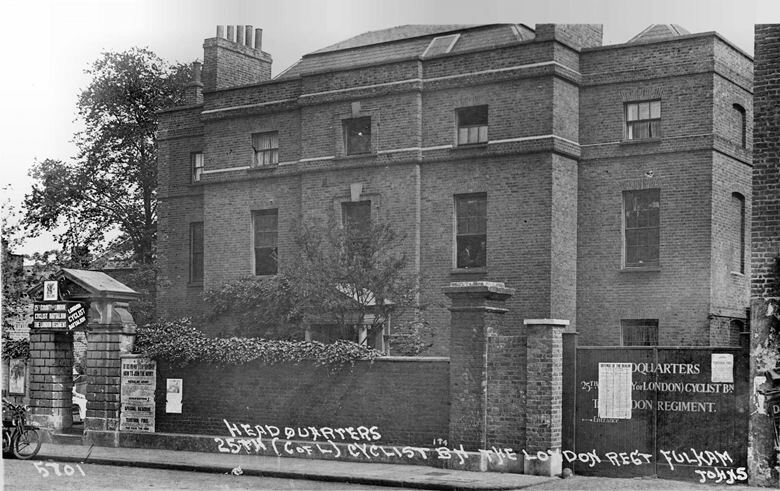 Records show that the unit in 1893 was attached to, for the purposes of War Office control of finance and official returns, to the 12th Middlesex (Civil Service Rifles), but had its own separate Headquarters at 2, Queen's Road, Chelsea. In 1899 the 26th Middlesex removed its Headquarters to 69, Lillie Road, West Brompton, where it had far better accommodation than hitherto. In this year (1904) the Battalion was attached to the 2nd (South) Middlesex V.R.C., and a year later moved to its new Headquarters at 45A Horseferry Road, Westminster. In 1908 the 26th (Middlesex Cyclist) V.R.C. was re-born as the new Territorial battalion, the 25th County of London Cyclist Battalion, The London Regiment. 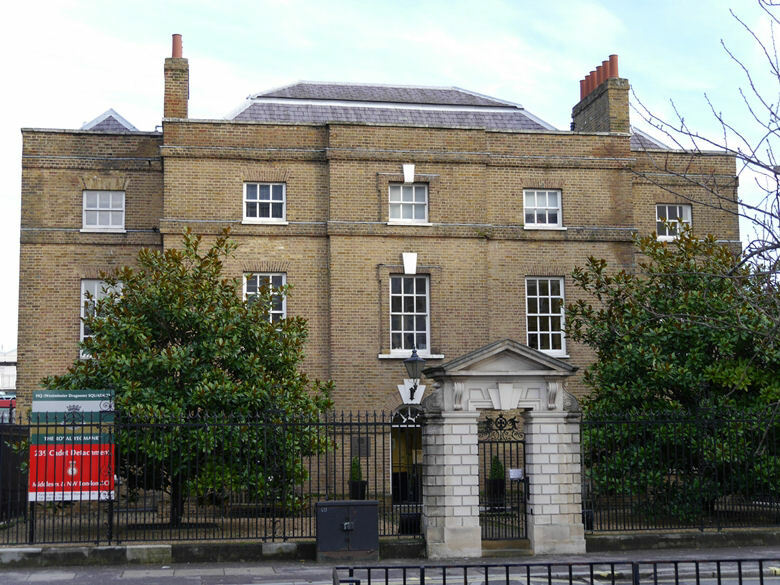 By 1909 the battalion was at its extremely attractive new Headquarters at Fulham House, Fulham Road, Fulham. 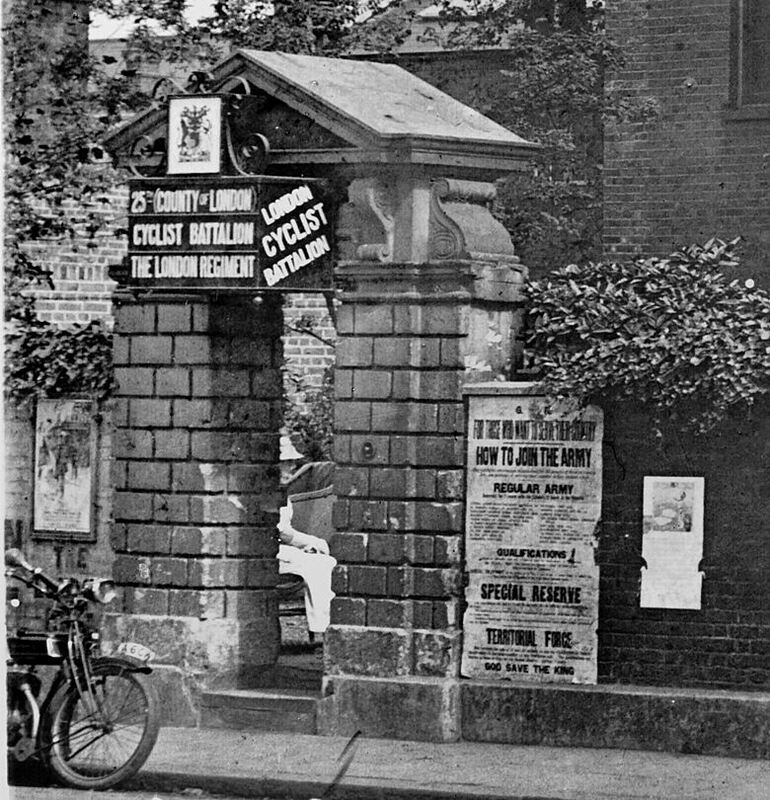 As can be seen in the following picture of the gatehouse the battalion was touting for volunteers with various posters & signs.